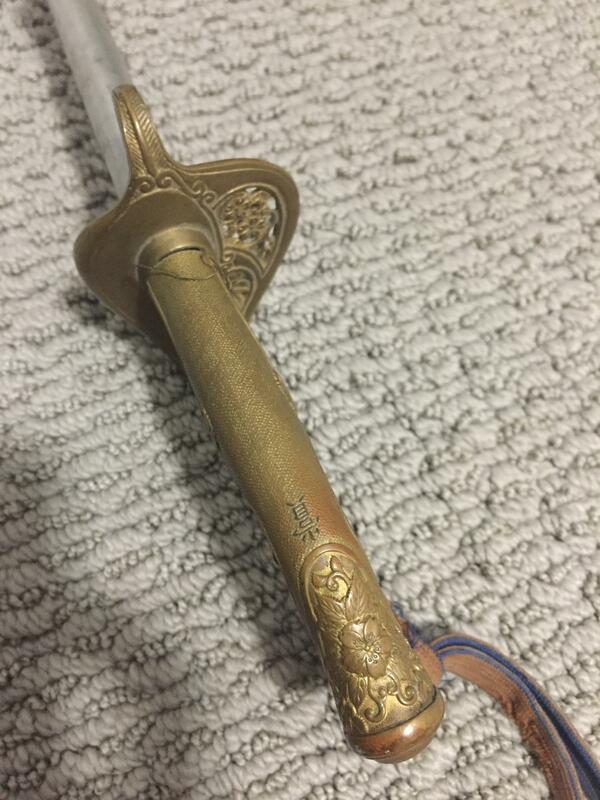 Wondering if someone is able to assist with the translation on this Kyu Gunto grip? I have not seen anything similar on any other Kyu Guntos I have researched on the forums. It's this kanji 賞 - Shou = prize or reward. Wow! I believe you are correct. My picture is upside down I guess, but when I flip it over I can see that is the same kanji. Do you know what the significance would be of having "prize" or "reward" written on a kyu gunto? Is this common or maybe custom to this sword? Sorry mate - not a clue as this period isn’t my thing, but it does suggest that it’s something more than standard issue. Maybe the guys in the military swords section can help? Reposting it there might get a result. Does it have a blade or just fittings? If there’s a blade I’m sure they would like a look at that too. Looks like a nice pick up, enjoy!